This document summarizes some of the pitfalls, challenges and benefits of migrating an enterprise to a cloud based telephony solution. The document has been prepared by X-on, a company with 16 years experience in hosted telephony, and with particular specialist application to the Healthcare market. Although the hype surrounding the migration of data and voice services to the Cloud is ahead of many organizations' abilities to migrate their services, there are technical, cost and management benefits. When 'Cloud Telephony' is mentioned in this document, it is not synonymous with 'Voice over IP', since many intelligent network services can be delivered over plain PSTN circuits or mobile carriers. However, most network operators are in the process of, or considering, migrating their core networks to VoIP/packet based circuits over the next 5 years, so VoIP is a key element of an enterprise strategy, even if other delivery technologies are used in the interim. Cloud Telephony services are normally charged on a rental or license basis, meaning there is no large Capex investment as is associated with legacy hardware systems, including PBX and add-ons such as call recording devices. There are also benefits to be gained by sharing network connectivity with data services, rather than operating discrete phone lines. The latter is particularly important in organizations with a large number of locations where utilisation of voice channels can be low. Finally, the cost of calls is traditionally lower with a VoIP model, including free inter-site traffic. Mostly this is due to the different pricing models of legacy providers who have no desire to 'catch up' with free or cheap calls when their contracts allow them to charge at agreed rates. Overall Total Cost of Ownership can be lower in a cloud model, but there is likely to be a gradual levelling of this difference as the balance tips towards the cloud model. Flexibility to move organizational units and geographical locations is a big benefit of the cloud model. There is no hardware relocation or upscaling required. Some cloud contracts can also allow downscaling on a per-seat/per-extension basis as needs change, negating redundant hardware or line contracts. A cloud model can ensure that all staff use the same numbering plans and system features. This is often difficult to achieve when short term change requirements, or acquisitions, mean the organization is left with a significant mix in technologies and vendors. New features can be implemented to meet business requirements without adding on hardware or involving complex integrations. An example is Call Recording which can be just 'enabled' and accessed via secure web or private connections. Bespoke solutions can be ported to different parts of the organization. A consistent interface and managed or self-serve services can reduce the amount of in-house specialization required to 'drive' a range of devices. Key to this is engaging with cloud organizations who understand the business requirements and can deliver first line and escalated support and maintenance services to meet these. The supplier should be able to demonstrate that both IP services (web, SIP) and network interconnects can be serviced together, with full application delivery (including replicated configuration) from different geographical locations including rapid failover or active load sharing. A supplier must not have dependencies on single sourced network or hosting providers, even when these are major organizations, all of which have track record of outages. Stability of software providers, access to source code or maintenance contracts are important. 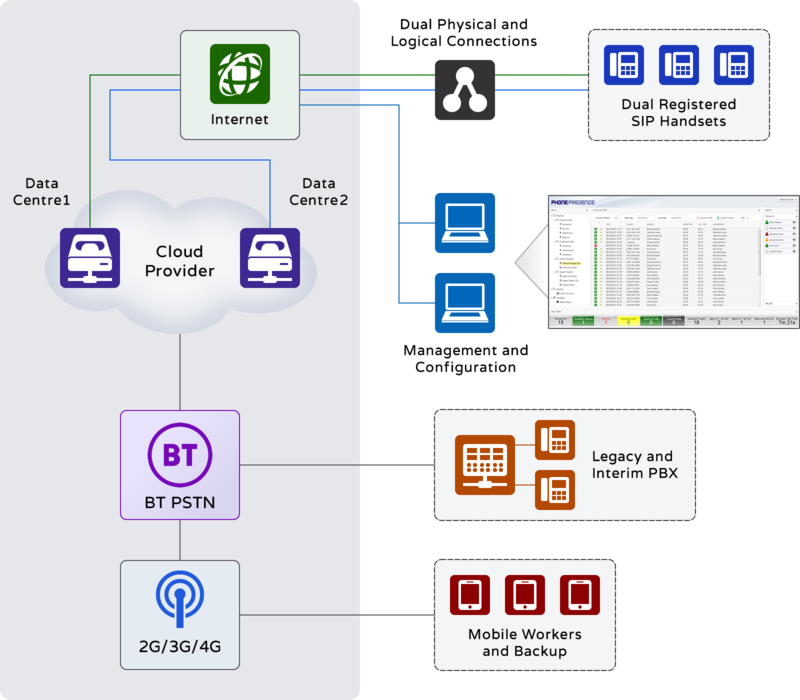 A supplier with Network Operator Status (direct interconnect with the BT Core Network) will have less dependencies and better core routing failover than one who is dependent on another provider for interconnect and number provision. A supplier should meet the organisation's criteria for financial stability, maturity and track record. Suppliers should meet required SLAs for first and subsequent line support coverage and response. Options for physical and logical resilience for IP connectivity are many, varied and in a constant state of flux as new infrastructure is rolled out. For small offices (less than 30-50 extensions), the increased availability of Fibre to the Cabinet (FTTC) DSL is overcoming the weaknesses that previously meant provision of VoIP services on standard ADSL circuits was a risk prone venture, both in terms of quality and service reliability. However it remains to be seen whether increased usage and contention of FTTC means that services degrade. As a general principle, it is considered best practice to devote ADSL connectivity to telephony services, rather than share data, and to manage Quality of Service (QOS). Larger offices and Contact Centres will typically have fibre connectivity. Bandwidth management is practical, dedicating a proportion to voice or using QOS packet marking for prioritisation. Dedicated point to point, or MPLS connectivity, to the cloud service provider eliminates Internet related problems such as packet loss. However experience tends to show that such issues are more likely to occur due to site configuration or in the final mile of connectivity. Many large call centres operate using the Internet for voice connectivity. Whichever physical and logical connectivity is used, a backup connection is essential to enable continuity of service. This can take the form of a second IP physical route (such as an ADSL line from a different provider), perhaps with less stringent QOS settings, or allowing contention with data. Where a Service Provider has separate data centres and SIP registrars, devices can be configured with dual SIP accounts. This prevents the failover delay that is typically associated with router failover in the event of a local or remote network connection failure. Finally, it is good practice to provide some PSTN or mobile based devices for emergency call delivery and origination in the event that a widescale or local network catastrophe happens. This means that your service provider can continue to deliver calls in all cases. Dedicated mobile backup provides additional fail-safe in the case of a building evacuation. Some providers can deliver to, and receive calls, from mobile devices fully integrated with their network, so a full set of call centre features, logging and recording can continue to operate on the mobile network. A migration to cloud telephony is often initially driven by business needs. For example a particular feature, such as mobile voice recording, may be required which is difficult, or impossible, to implement except through a hosted solution, and this drives the first stage. There are large numbers of potential service providers boasting 'hosted telephony' options, including those who have originated as on site PBX providers and network specialists who add voice products to their IP offerings to increase scope. Many will only offer 'basic PBX' services with extension provisioning, call forward and voicemail. Specialist providers are likely to have richer product offerings and support mechanisms in place for the type of requirements that drives the initial move to the cloud. Areas of specialisation include inbound, outbound and blended contact centre calling, call recording and archiving, unified communications, CRM integration, predictive dialling, emergency contact, PCI compliant card transactions, IVR, custom interfaces, video and conferencing. Most will claim to provide all services, however evidence and references in relation to particular use cases should generally be sought. X-on systems and services satisfy the stringent standards required for the ISO9001 and ISO27001 yearly audit. X-on has also satisfied the demanding requirements set for PCI-DSS compliance. Even a simple 'hosted phone system' will involve a service provider having access to sensitive data. When features such as call recording, IVR data integration, or credit card processing are implemented, the data security requirements can become extensive and in some cases complex and expensive to implement. Standards cover the basics of data security, such as a proper Data Protection policy and ISO27001. For credit card transactions, the payment services industry has PCI-DSS standards. Where the volume of transactions is high and Level 1 accreditation is required, an end-to-end project is necessary to ensure that the security of card data is rigorously maintained and tracked - a budget will be necessary to fund this. However, economies on staff time in an unattended, or semi-attended, compliant process will often cover this, and organisations are being driven towards PCI compliance regardless of the technologies used. To migrate a large organisation's telephony to the cloud as a single project is difficult and sometimes impossible to achieve. The time to implement is likely to overlap changes to business requirements, including premise and organisation moves, so the target will be constantly moving. A strategy for changing and gradual introduction of cloud telephony is more likely to be agreed. As discussed above, individual business requirements will drive features that sit most comfortably, or economically, in the cloud. Typical examples are remote business users, contact centres, mobile or distributed call recording for compliance purposes, or specialist data integration and IVR projects. It is generally easier to implement a cloud contact centre and then 'add on' back office standard PBX functionality than do the reverse. Normally, a cloud implementation can sit happily alongside a legacy PBX for an extended period. Calls can be delivered to extensions via new or existing DDIs. SIP Gateways can be introduced to switch inbound, outbound and/or inter-site traffic preferentially and seamlessly over an IP Network. The strategies to be employed here depend on a particular case and should be discussed and planned with service providers. Proof of concept or pilot deployments are often easily put in place. Legacy PBX and ancillary equipment will often have been in place for many years offering users particular features and functions that are assumed and sometimes undocumented. Examples may be dial plans, directories, special voicemail and call routing features. Part of the migration process will be a requirements gathering phase that collects current and future user requirements. This is generally easier whether the requirements are specialised in a tight business unit, such as a Contact Centre or a small branch, or there is a new application. The responsibilities for requirements gathering must be tightly defined between purchaser and supplier. It should be assumed that there will always need to be provision for items that are missed, and the supplier should have sufficient flexibility to adjust the service offering accordingly. Bespoke work typically arises in the areas of integration with third party systems for screen popping or IVR services. This usually requires dedicated resources from customer, hosted service provider, and the provider of at least one other data system provider. Coordinating such resources can be difficult and the purchaser is advised that, in other than the most minor projects, an in-house, contracted or external Project Manager should be appointed, with sufficient authority and allocated resource from all involved parties to achieve successful delivery. Porting numbers to a new provider can be an administratively draining exercise, which varies with the incumbent provider. Whether or not to port numbers, or ranges, is a business decision that depends on traffic volumes and how the numbers are promoted. In some cases redirecting numbers, or providing new ranges, may be more appropriate. Publishing directories for a large organization can be a management overhead. Integration with non-telephony directories can be achieved in some cases using open standards such as LDAP. Other forms of data migration may be relevant to integration projects. Consideration may be needed for switch over of call management statistics, call recordings and voicemail messages, so that access to archives are preserved where required. Call recording for monitoring and compliance purposes is becoming a normal requirement in many public facing organisations. 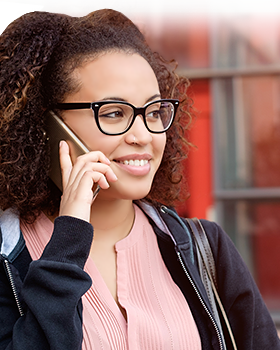 Call recording hosted in the cloud can span legacy PSTN circuits and mobile calls, as well as VoIP connections. Long period archiving is required by certain regulatory bodies (up to 26 years) and data security and encryption are important factors where patient sensitive data is concerned. VoIP transit is typically used as a method of reducing and controlling call costs in a large enterprise. Inter-site call costs can be eliminated and a single bill for the enterprise created. It is not necessary to complete an enterprise cloud migration to take advantage of VoIP transit by using SIP gateways and trunks. Notifying staff and customers via voice calls and SMS for emergency or routine purposes is widely used across many industries. It is often the most immediate form of contact when other forms of notification are incessant. Contact centre agents no longer have to be located on a single site. Technology allows agents to take or make calls on a variety of devices and still be subject to the same management and logging features that were once the provenance of expensive ACD deployments. Where an organisation is involved in contacting large number of customers for follow up, payment reminder or marketing purposes, a hosted dialler service with integration to back office data will create efficiencies in staff time and provide greater management information. IVR services to automate credit card and other forms of payment reduces staff time and errors, and provides a platform to deliver PCI compliance. Bespoke services offer customers the option of self-serve, reducing call centre agent time, and as an alternative to waiting in long call centre queues. The concept of Unified Communications allows customers to transact via their preferred medium - voice or web - with a single underlying data structure. The migration from on-site PBX to IP devices sharing an IP network is the staple of hosted migration, and encompasses general PBX functionality such as call logging, voicemail, call conferencing, directories and dialling permissions. Now that over half of phone calls terminate on mobile devices, treating the mobile in an identical manner to a fixed line extension becomes part of the infrastructure requirements. This produces additional challenges in terms of control of calls, data and costs, and is more complex still when staff are able to use their own mobiles for business purposes. Running a pilot is often a relatively low cost and low risk step towards cloud migration. By keeping existing infrastructure in place and overlaying the hosted element, a pilot can be 'turned on and off' at a moment's notice which means effectiveness and quality can be demonstrated without loss of service risk. It is possible to get many of the benefits of hosted telephony prior to decommissioning legacy systems. Gateways and SIP trunks allow telephone traffic to use VoIP on the wider network such that devices and systems can be upgraded according to the customer's preferred program, rather than driven by supplier contracts. The use of the video call for business purposes, outside conferencing, is still limited and likely to remain so for some time. However, the capacity and technology for video between different devices (mobile, videophones, browser based softphones) is maturing and consideration needs to be made for future business needs. 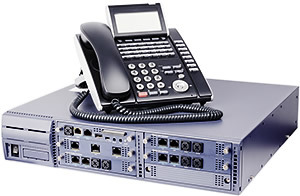 The addition of rich data to a phone call, such as document sharing, presence information, or introducing more parties and web resources, can all be accomplished more easily with an IP telephony infrastructure, though such features are best driven by business demands rather than feature availability. A goal of the migration strategy may be to have a unified bill and management interface for the enterprise's telephony. 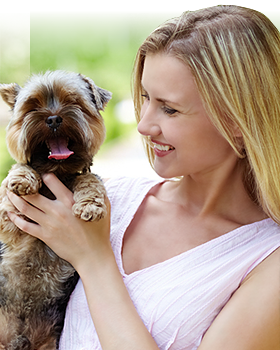 Bespoke telephony solutions are becoming more common in managing preventative and diagnostic health campaigns. Healthcare organisations may be in a strong position to supply or promote such initiatives in order to minimise the costs of expensive late intervention. X-on has over 20 years of experience delivering many of the hosted telephony products described in this paper and fully meets the requirements of a cloud service provider. A nationwide flu vaccination reminder project via voice calls and SMS. 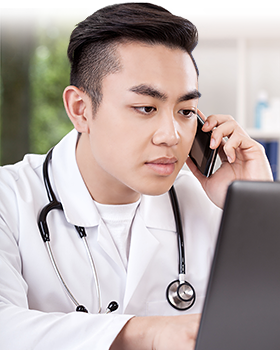 Intelligent call routing service to link patients to consultants. Interactive self help service for specific disorders. Fixed and mobile call recording and tracking. Migration to cloud based telephony throughout the enterprise is a long term project. It is likely to be driven by specific business requirements or cost cutting initiatives. Use of pilots and careful selection of suppliers can minimize risks during migration. The long term benefits of a unified cloud solution are clear.